SECOND COLLECTION at all Masses next week, Jan. 31st & Feb. 1st 2015 — for the BC Catholic. 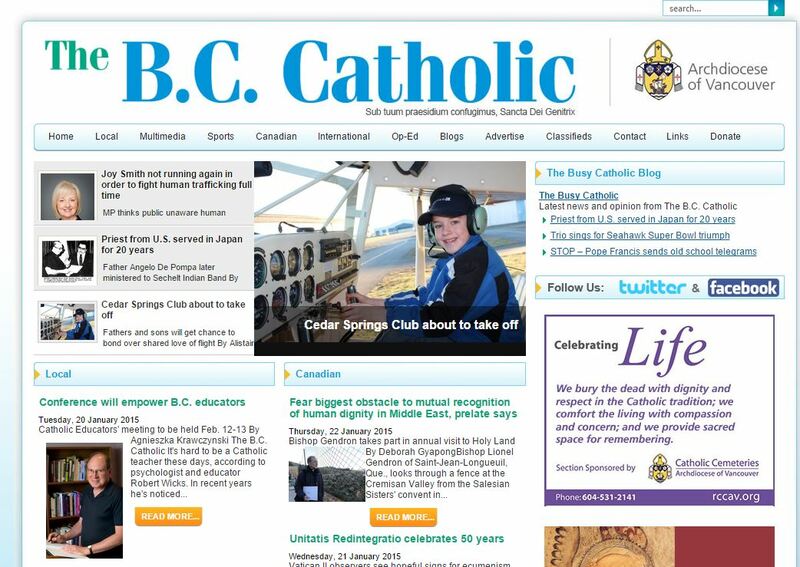 The Catholic Press collection is held once a year to help the parishes mail the B.C. Catholic weekly newspaper to Catholic homes. The collection is a way you can help reduce the Parish’s expenses, since every penny goes directly to the Parish to offset the mailing costs. Please use the special blue envelope in your envelope box to make a donation.